This exhibition showcases NOMA’s recent acquisitions of modern and contemporary art and celebrates the museum’s enduring commitment to championing the work of emerging and underrepresented artists, especially from the American South. My work,Quantum II is showcased in the exhibition and is now part of NOMA's permanent collection. For Meridian I will be exhibiting works from my Erosion Series. These works are inspired by a Japanese form of ceramic repair called kintsugi, in which the cracks of broken objects are mended using natural resin and are then dusted with gold highlighting the history and cracks of the object rather than trying to erase it. In the Erosion Series I utilize sandpaper, an item connected to physical labor that also has a short lifespan. Each piece of paper has been used to the point of futility, where creases, tears and holes puncture its surface. I then careful mount each piece, and repair the torn areas of the sandpaper with gold and silver leaf, thus making the sandpaper ‘whole’ once again. Adversely though I take away its intended function by mounting it on a panel. 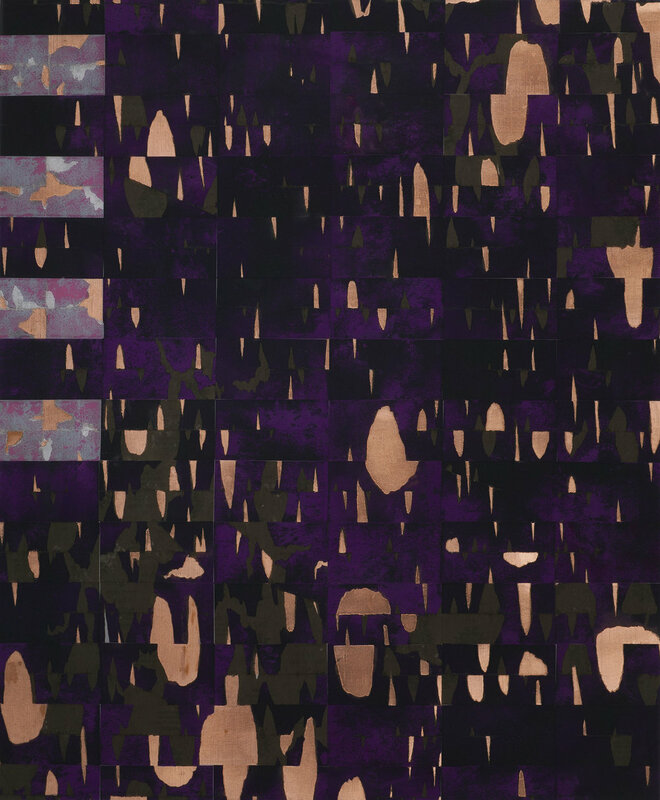 When pieces are mounted together, in arrangements similar to quilts, patterns emerge based on repetition and the variation of usage of the sandpaper.